Katerina Mertikas (née Patrinos) was born in Tripoli, Greece in 1957 and is now a permanent resident of Ottawa, Canada. Her highly stylized art leaves one with a smile which is much like Katerina's optimistic, happy character. Her husband and two daughters are often the inspiration behind many of her paintings. Katerina paints childhood's fleeting and precious moments, hoping that in each painting someone may recognize themselves in their past or perhaps see their children enjoying their day. This truly naïve painter creates spontaneously and freely out of the urgings of the heart. The originality and poetic immediacy of such work delight the unconscious sincerity with which private fantasies have been expressed. Katerina fits the profile of a painter who invents a new reality. She alludes to the world around her by projecting her own ideas and visions rather than simply copying the surroundings. Mertikas gives us a marvelous view of our own world. The vitality and joy of Katerina Mertikas and her genius as a colourist have won her the admiration of art collectors across Canada and beyond. Katerina classifies her own work as naïve expressionism, trying to convey to the world the message of love, peace, innocence and friendship. Katerina explains: “I love vivid colours. I love the feeling that painting creates within me – especially when depicting children in all their joys and excitement. 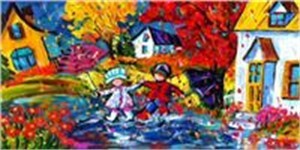 I try to capture the special, happy moments in our daily lives on every canvas on which I paint.” Her involvement with Unicef over the years has led to this Greek-Canadian artist to mingle with the likes of the late Princess Diana, Nana Mouskouri, Julio Iglesias and Roger Moore, all of whom are Unicef’s international ambassadors. Unicef is not the only form of recognition that this self-taught artist has received in her meteoric career. 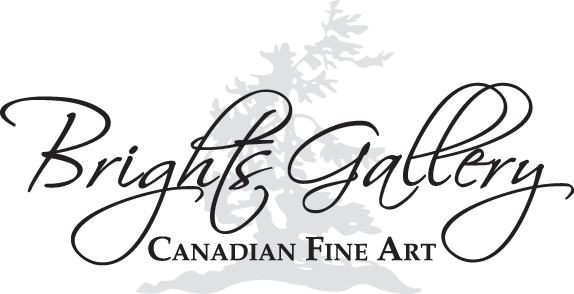 She was honored with the Women of Distinction award in the arts category in June 1999, elected a Fellow of the Royal Society of the Arts (FRSA), and her work has been reproduced on cards and stamps of several charities, including the Juvenile Diabetes Foundation, the Ottawa Civic Hospital and the Children’s Aid Society of Toronto.